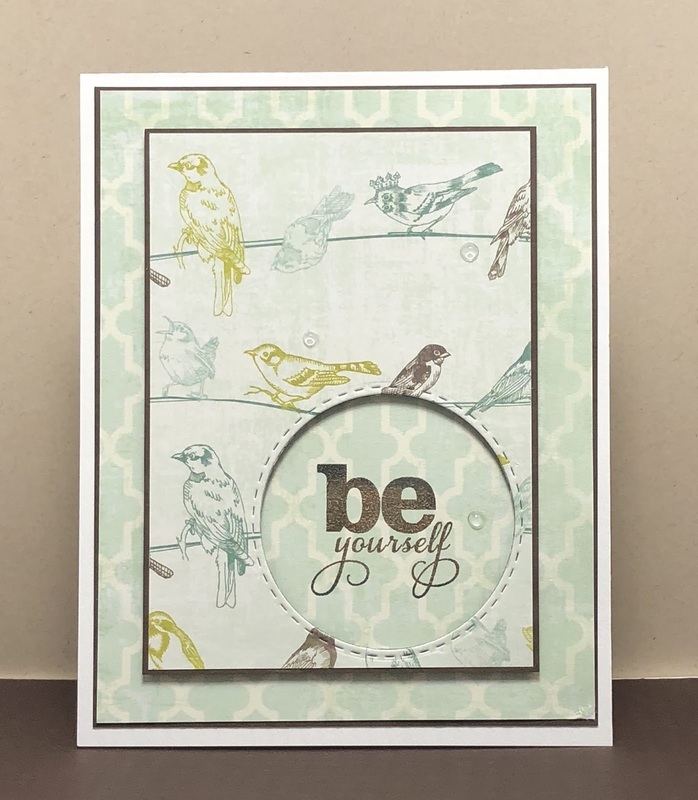 Be yourself even if it means wearing a crown ;), I love this pretty spring paper. I used a stitched circle to create a window for the sentiment. I added a layer of brown cardstock to each layer and popped up the top panel then I finished with some drops. 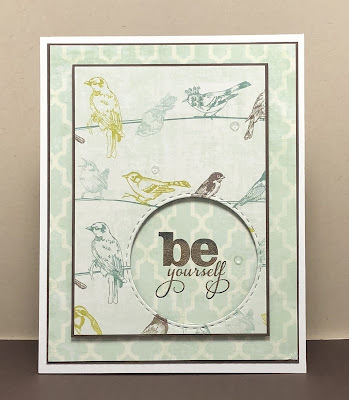 Supplies: White and brown cardstock, Designer Paper-Kaisercraft, Verve-Lean on Me, drops.